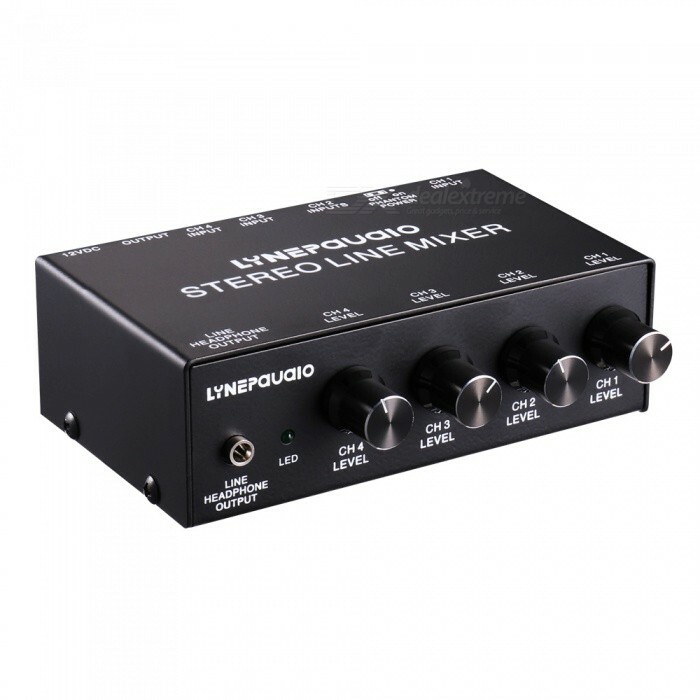 The B895 is a mini five-channel stereo mixer designed for audio and video applications with independent volume control and earphone/line output. The product has one XLR input, one 1/8 input and three groups stereo RCA inputs. 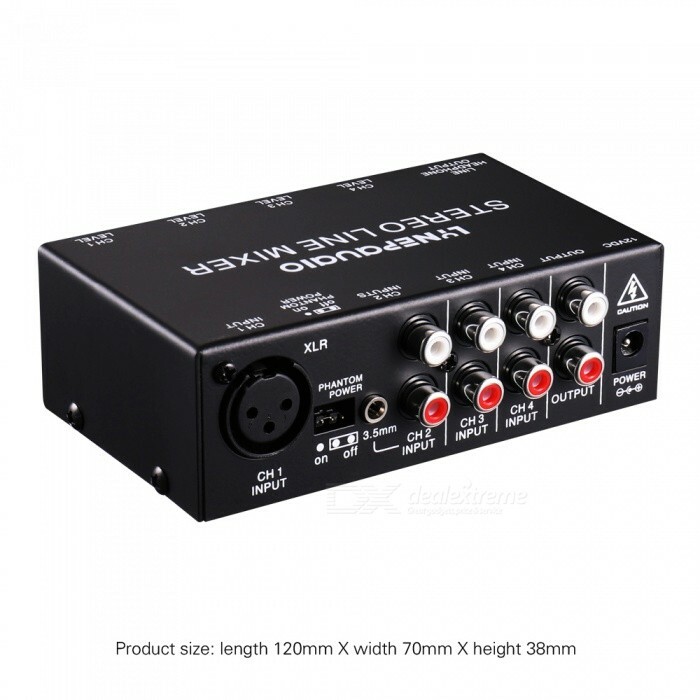 It has enough gain and output level to connect to the power amplifier with RCA or 1 / 8 Jack. 12VDC adapter power supply. Channel 1 has a microphone XLR input with a switchable Phantom Power supply. Channel 2 has 1/8 and RCA input. Channel 3 and channel 4 have RCA jacks. The product can also output 1/8 headset output, can drive up to 600 ohms headphone, with a full frequency response. DC PWR：used to connect a DC12V power supply. OUT: stereo RCA jack for connecting mixers or amplifiers. CH 4 and CH 3 INPUT: stereo RCA jack for connecting signal sources such as CD player, tape deck, tuner, computer, mobile phone, tablet, etc. CH 2 input: stereo RCA and a 1/8 jack (parallel) are used to connect signal sources, such as those mentioned in CH 3 and CH 4, or to wireless microphones or musical instruments. CH 1 INPUT: XLR Jack used to connect the microphone. A switchable jumper power source marked on the unit. 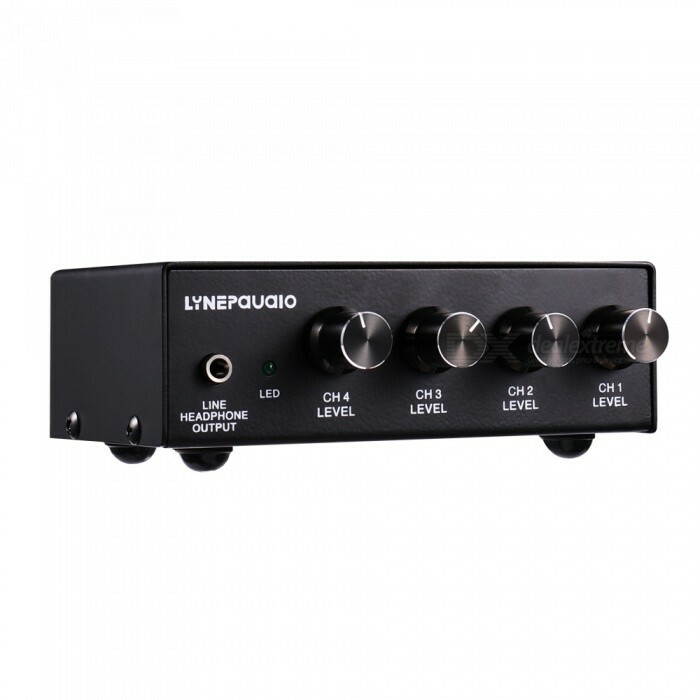 Line/headphone output: 1/8 stereo jack for connecting sound console, amplifier, or stereo headset. CH 1-4 LEVEL: adjust the volume of each channel.